Descended from the Aonian Literary Society, Alpha Sigma Pi is the only female group to still exist from the formal creation of social groups in 1927. They became formally known as the Arrows and have a proud history in the college. The Arrows have adopted the colors of gold and white, symbolizing friendship and honor, and the symbol of the arrow, signifying love, loyalty, and friendship. 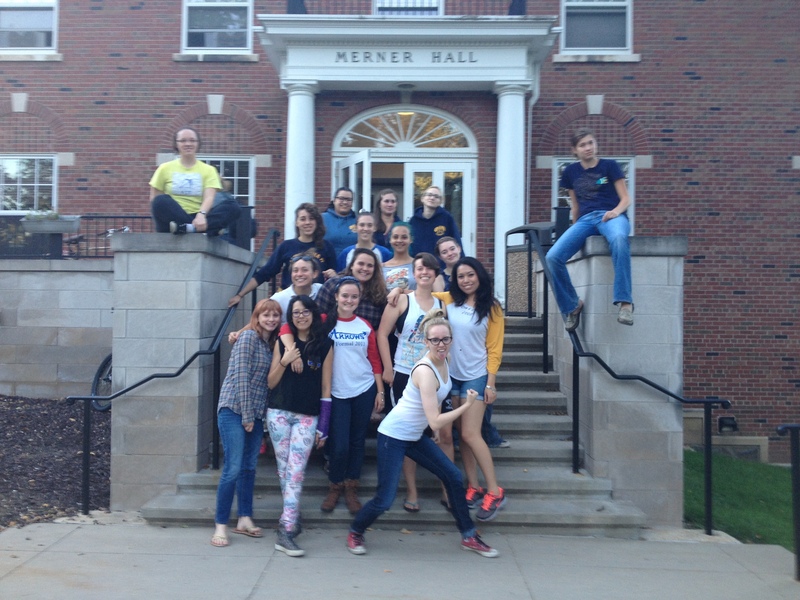 Arrows participate in a wide variety of service projects, but individual members especially frequently volunteer with Third Wave Resource Group, an on-campus resource for activism and third-wave feminism. The Arrows’ motto of “To be borne aloft amongst the muses” stems from their history and signifies an important principle of the Arrows: individuality. Take the most stubborn girls you know and put them in a group – now you have an idea of who the Arrows are.